This page used to contain pictures of the gear I use in life (backpack, coffee mug, etc. ), but I came to the conclusion that no one cares. Instead, we’ll focus on my music gear, since that’s what Audiomatron is – my musical alter ego. Here we go! Previously, my main (and only) drum kit was a 1996 Tama Rockstar with Sabian B8 Pro cymbals. 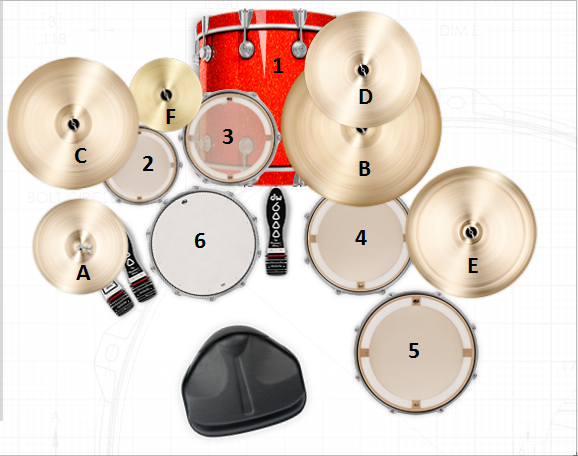 I decided that as a drummer of nearly 27 years, it was time for a more grown-up kit. 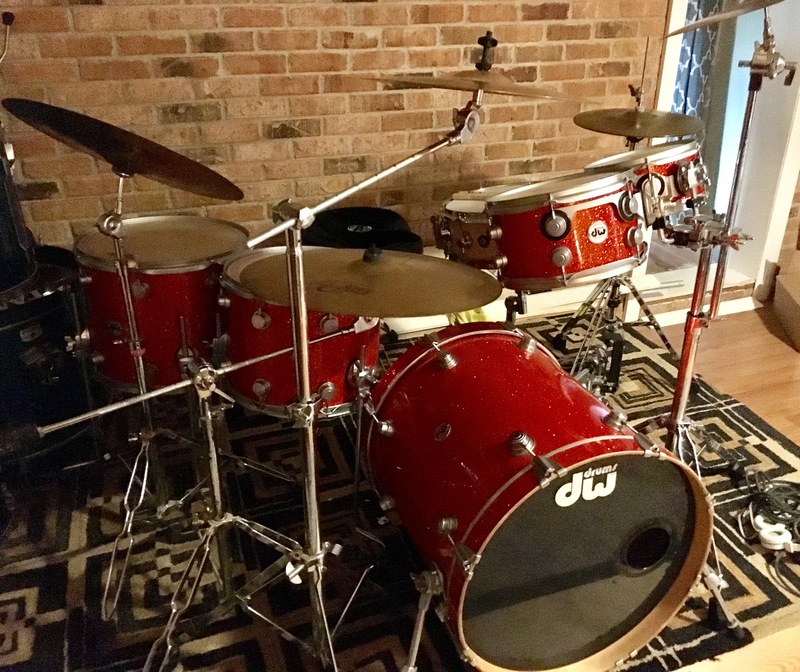 Well, here it is – my DW Collector’s Series in Super Tangerine Glass FinishPly with Sabian Neil Peart Paragon cymbals (this picture was taken before I got the new cymbals).